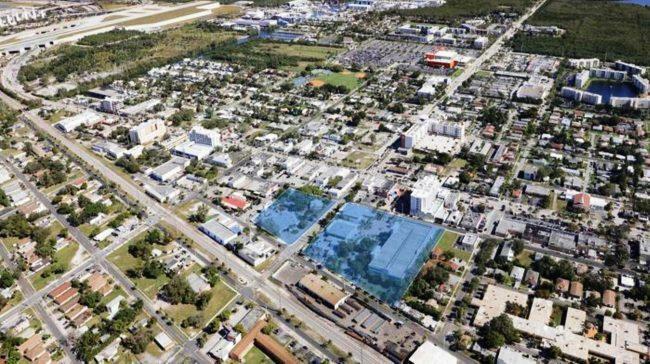 The development would unfold at 100 West Dania Beach Boulevard, a 6.42-acre site where the existing city hall is located. May 30 is the deadline for developers to submit proposals to redevelop the site, which has been appraised at $12.31 million. The city wants a developer to clear the site by demolishing the existing 29,000-square-foot city hall and relocating a fire station and two historic buildings to other locations in the city. Dania Beach formally issued a request for proposals on March 15, three days after city commissioners approved the planned project. According to the city’s request for proposals, the 6.42-acre site is big enough for about 1.4 million square feet of new building space and more than 950 residential units.